"...Palace go into this game having scored three against both Cardiff and Newcastle in those latest victories and four against Burnley last month. In summary, Pellegrini's men are very reliable against bottom-half sides. It's difficult to look beyond an Arsenal victory in this game given the excellent run they are currently on, the draw at Old Trafford in midweek making it 20 games unbeaten for Unai Emery's men. The Gunners are fifth in the table but they're within two points of third-placed Tottenham who they deservedly beat 4-2 at the Emirates Stadium last weekend. And quite remarkably in that game, Pierre-Emerick Aubameyang scored his ninth and tenth league goals of the season with his ninth and tenth shots on target for the season. The 29-year-old's 100% goals per shots on target record was busted in midweek when David de Gea pulled off a couple of excellent saves to deny the Arsenal hitman, but he remains in excellent form and currently leads the Premier League goalscoring charts. He can be backed at [5.0] to stay there come the end of the season. Huddersfield have really struggled this season, and although they won two games recently - one against bottom of the table Fulham, the other against a then out-of-form Wolves - a trip to the Emirates Stadium is a daunting task. David Wagner's men lost 5-0 in this corresponding fixture last season. A home win is available to back at 2/7 on the Sportsbook, while Aubameyang is 13/5 to score two or more goals. You have to feel that if the latter price lands, then the Gunners will secure victory, so I much prefer to combine the two bets in a Same Game Multi at odds of 4.89. It's difficult to fathom why Cardiff are [3.0] to win this home fixture, while Southampton are favourites at [2.7]. It makes little sense. The Bluebirds are clearly fighting tooth and nail to survive this season and in the last few months their hard work has started to pay dividends. Neil Warnock's men have won three Premier League games since the end of October, while in the same period they performed with credit but lost by just a single goal to top-half sides Tottenham, Leicester, and Everton. Crucially all of Cardiff's recent wins were on home soil, scoring eight goals in victories over Brighton, Fulham and Wolves. Can anyone say with 100% conviction that Southampton are a better team than all of that trio of sides. Perhaps the perception is that the Saints are a better outfit than the likes of Fulham and Wolves but the fact is Southampton have won fewer games than any club this season and deserve to be in the relegation zone. Three of their most recent away games finished in defeat while conceding 12 goals in the process. Of course, the extra factor ahead of this game is the sacking of Mark Hughes and the appointment of Ralph Hasenhuttl, and perhaps the market is expecting a new manager bounce, but I'm happy to ignore that possibility here and simply back the team who I believe are in better form and much the better price to take all three points. West Ham are going for their third league win within a week following victories over Newcastle and Cardiff, and I have to admit to being slightly surprised at their Match Odds price to do exactly that. The Hammers are six points above Saturday's opponents Crystal Palace, are playing on home soil, and are unbeaten against the Eagles in their last six league meetings. But there are a lot of other factors that suggest West Ham are a decent price to win this. 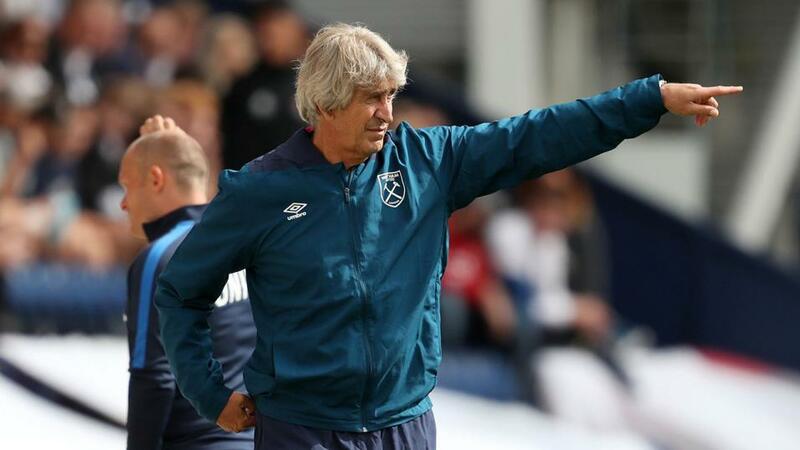 Manuel Pellegrini's men had a really difficult set of fixtures to to start the season, having to play all of the 'big six' clubs and all 10 of the teams in the top half of the table before November was even out. And they've acquitted themselves far better than the table perhaps suggests. Since the beginning of September the Hammers have lost only once - away to a Brighton side that is always a difficult test at the Amex - to a team other than the 'big six', and they go into this game having scored three against both Cardiff and Newcastle in those latest victories and four against Burnley last month. In summary, Pellegrini's men are very reliable against bottom-half sides. Crystal Palace have been a big disappointment to me this season and Tuesday's 3-1 loss to Brighton will have done nothing for confidence. Roy Hodgson's men were already trailing 1-0 when the Seagulls went down to 10 men inside the first half hour, which means the Eagles lost the final hour of the game 2-1 despite having a one man advantage. And it's also worth mentioning that all three of Palace's wins this season have came against clubs currently in the bottom four of the table - Fulham, Huddersfield and Burnley. West Ham look a great price to take all three points.